Seddique Mateen moved to US from Afghanistan, yet calls to imprison current Afghan leaders and praises US's enemies. As the United States is trying to come to grips with Sunday's attack at a Florida nightclub, attention is turning to the terrorist's father. Seddique Mateen moved to the US from his Afghanistan in the 1980s, yet he still clearly holds strong ties to his native country and even supports the Taliban, which is still fighting against US forces. The elder Mateen has hosted a Dari-language program that has been shown on the Payam-e-Afghan channel and YouTube. 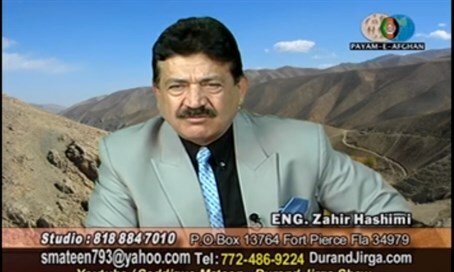 In one clip, Mateen says: "Our brothers in Waziristan [in Pakistan], our warrior brothers in [the] Taliban movement and national Afghan Taliban are rising up. Inshallah the Durand Line issue will be solved soon," referring to a border dispute between Pakistan and Afghanistan. Only a few hours before his son Omar murdered 50 people, Seddique posted a video titled "Provisional Government of Afghanistan — Seddique Mateen" to Facebook. In it, he dresses in a military uniform and poses as the president, declaring, "I order national army, national police and intelligence department to immediately imprison Karzai, Ashraf Ghani, Zalmay Khalilzad, Atmar, and Sayyaf. They are against our countrymen, and against our homeland." Hamid Karzai is a real former president of Afghanistan, having lead the country from 2004 until 2014. Ghani is the current president, and the other three are US-allied leaders. Seddique Mateen spoke with NBC News about the attack, saying it "has nothing to do with religion." Instead, he insisted that Omar was enraged at the sight of two men kissing earlier this year. He did not suggest what caused his son to wait several months and only then open fire at a gay club. Omar himself had pledged allegiance to ISIS, and the terror group has claimed responsibility for his attack.